San Diego was fun right? A lot of mud will make this “Daytime Program” kind of short. With Saturday’s daytime program cut short due to the weather there wasn’t much for me to view and observe. With the rain that California has been getting this winter it makes for great testing here in the desert for me, so I got a lot of that done on Saturday. Here are some things I thought were worth mentioning from San Diego, but if you have any questions for me please feel free to email me at kris@keeferinctesting.com. 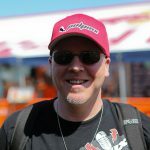 Eli Tomac: Lookie, lookie who your new points leader is after the San Diego win. Eli was on fire all night and I thought it was crazy that he chose the gate he did in the Main event. I was sitting at home looking at the hole that was in front of the gate and thought for sure Tomac would be getting cross-rutted, once out of the gate. Tomac made me look stupid, got a great jump and did I say made me look stupid? Yes, he did. Roczen gifted him the lead the first lap and once in the lead there was nothing no one could do. I did notice that Tomac kept off the clutch during the Main Event, which saved his engine and only had one snag with his footpeg grabbing a tuff block when trying to ride too far inside of a corner. Tomac winning San Diego is bad news for his competitors leading into the east coast swing. 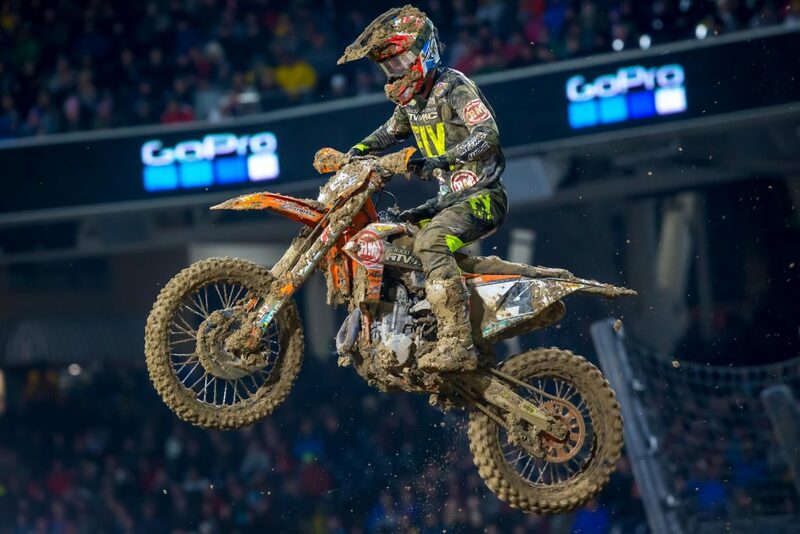 Justin Bogle: Bogle is getting better and he is starting to figure out his KTM. I spoke with the one of the guys from the RMATVMC/KTM team and they say that it took Bogle a while to learn how the KTM’s engine character is delivered. The KTM makes so much useable power without being too exciting that it is sometimes difficult to adapt to quickly. It took me a while to get used to the delivery after getting off Japanese machines, so I can relate. Bogle almost managed a podium, but a late race mishap pushed him back to fourth. Nonetheless it’s a great showing and I am sure it wont be long until we may see Bogle win a heat race in the near future. 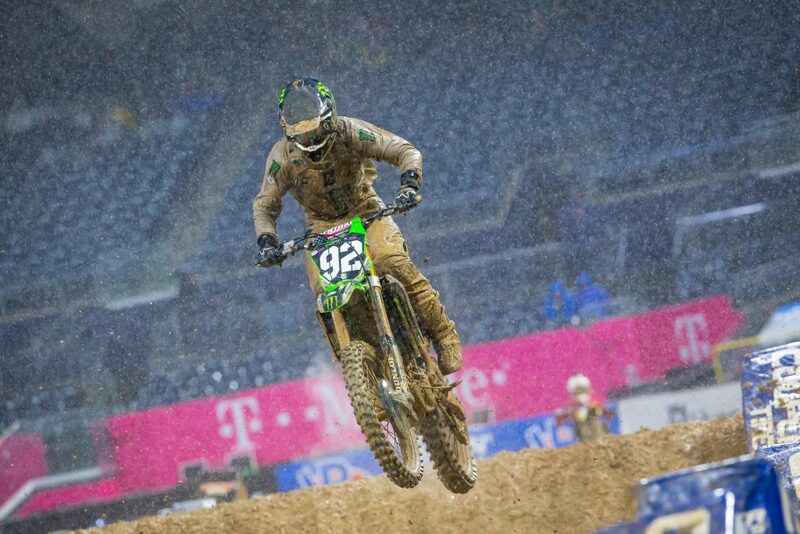 Chad Reed: Yes, he’s old, but Chad knows how to ride in the mud and just click off laps. He doesn’t ever seem too worried when a rider passes him and doesn’t freak out. A solid fifth place is impressive to me being that a lot of people said he would never sniff a top five again. Being as old as Chad and having that desire to hang it out every weekend is rare, so we should just sit back and appreciate it. 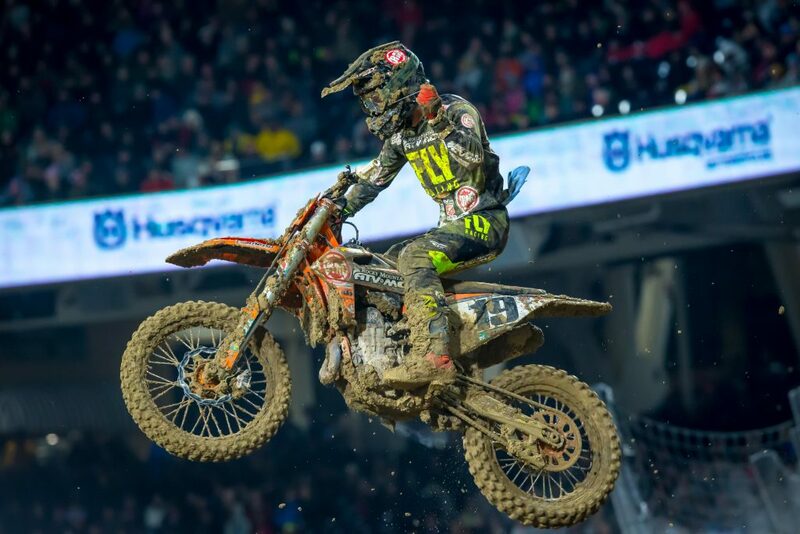 Adam Cianciarulo: WOW! For a racer that seems to make mistakes at inopportune times, AC pretty much killed a mud race where mistakes are commonplace. Did you see how AC was pumped at the end of the race? This is normal for winners, but it almost looked like he was relieved to get through this round and on to the break. Almost like a weight was lifted. AC needs to win this title this year and show everyone that he can put a series together for future 450 contract talks. Garrett Marchbanks: As Travis Preston and I were watching Marchbanks hang with AC we both looked at each other and said simultaneously “he gives zero F’s right now”. Marchbanks was hanging it out, riding off the back and ripping mud ruts like he was riding an outdoor track. I think we are going to see some great rides coming this summer from this kid. Jimmy Decotis: Dude, Jimmy D is really, really good! So far in 2019 we learned Jimmy D is fast in whoops and now we learned he can ride in the mud! What!? Must be all that Canadian motocross that helped his mud skills. He got a gift with Ferrandis blowing up his clutch, but like they say “you got to be in it to win it” right? Or at least podium…. Martin Castelo: Most feel good moment of the night. Over on Twisted Development’s Instagram there is a video of Martin hugging his dad after his career best sixth place finish. Jamie at Twisted Development has been helping Castelo with his engine on his Suzuki RM-Z250 and it shows with great starts and strong results in 2019. Jess Pettis: Oh Canada! 2018 Jess was good on Yamaha’s, but going to a team like Red Bull KTM Canada has really elevated his confidence and riding. JSR is guiding Pettis and I have seen the KTM Canada team over at the KTM factory in Temecula a lot this year so I know he is getting some good parts on that 250SX-F.
Matthias Jorgensen: Anyone know anything about this dude? Hit me up and talk to me..
Lime In Dirt: Destroying bikes. 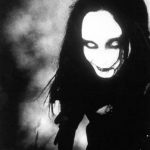 Destroying skin. Why is Feld/Dirt Wurx using the lime when it is this wet? I mean there was puddles everywhere on the track. Just leave it be and don’t risk the health of our riders and the motorcycles. Alex Ray has a rash in a place men DO NOT want a rash! In other words A-Ray is out of the bedroom game for a bit. Best Dressed: We couldn’t see much of the gear Saturday night, but from what I viewed I would say FLY Racing took the cake with their camo gear on the Rocky Mountain ATV/MC/KTM team. If there was a helmet award I would give that Bell helmets as they did a great job with Pro Circuit’s lids as well.